What lies under that snow? Dreams. I bid it a fond farewell. Its time to rest. I’m ending my season with a head cold that’s lasted three weeks. Time to re-read the rules for the upcoming seasons sport. Time for clinics and rules discussion. I’ve seen some coaches around town, their teams have been taking indoor batting practice since January. Its 10 degrees outside….its “Baseball Season Eve”. Fross Park in Center Point Iowa. One of my favorite places to work. Friendly folks. Beautiful setting. Small town Iowa baseball. 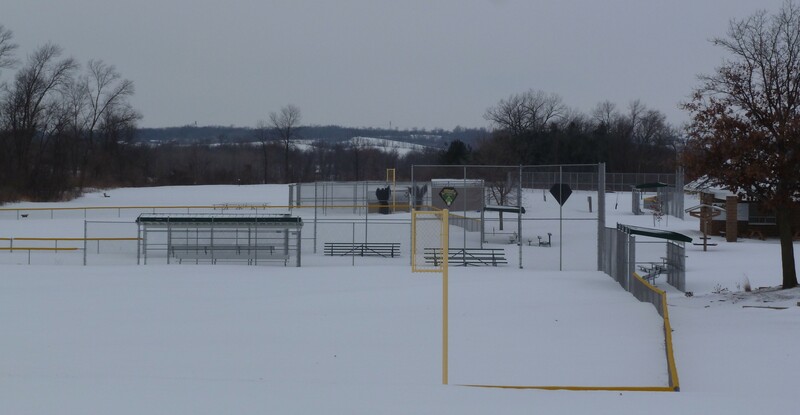 February 14th 2014…dreams of baseball lie under that snow. 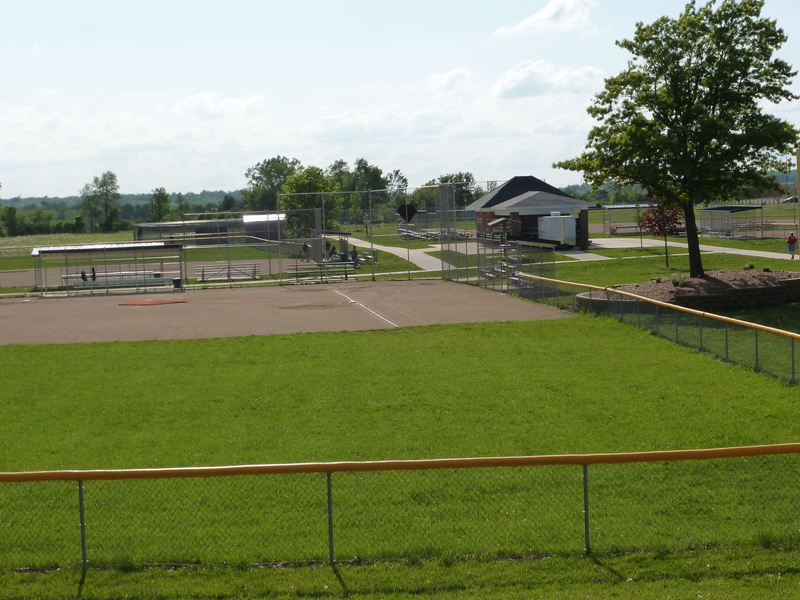 Fross Park in May of 2013, just before one of my games. I can’t wait! What lies under that snow? Dreams…. Cheers from Sunny Michigan – whoop!